Start with sessions lasting no more than a few minutes at a time. Gradually build-up minute by minute as you progress, maximum between 10-20 minutes. You will find on a daily basis a couple of minutes a day last thing in the evening is sufficient. The secret with the Backstretcher is a little and often". 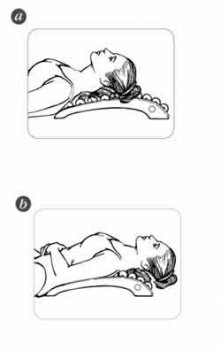 1: Start seated on the floor and aling the bony part of your spine with the centre to allow the vertebrae to rest in the "channel" created between the knobbles. Lie back slowly and relax. This first position creates a straight spine and is equivalent to being propped up in bed. Increase the stretch as you become accustomed to the backstretcher. Your bottom will be sitting on the wooden rollers at the height of the stretch. 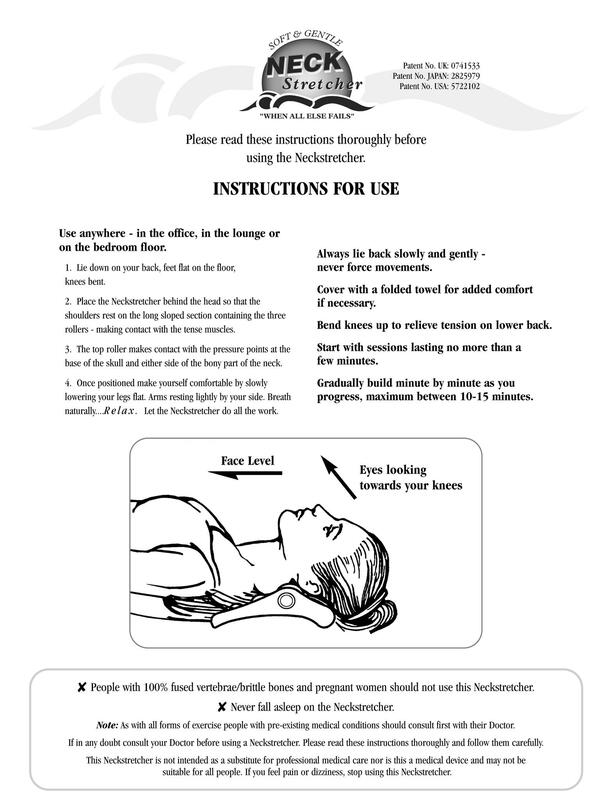 Support the head with a cushion to make your head and neck comfortable at all times. 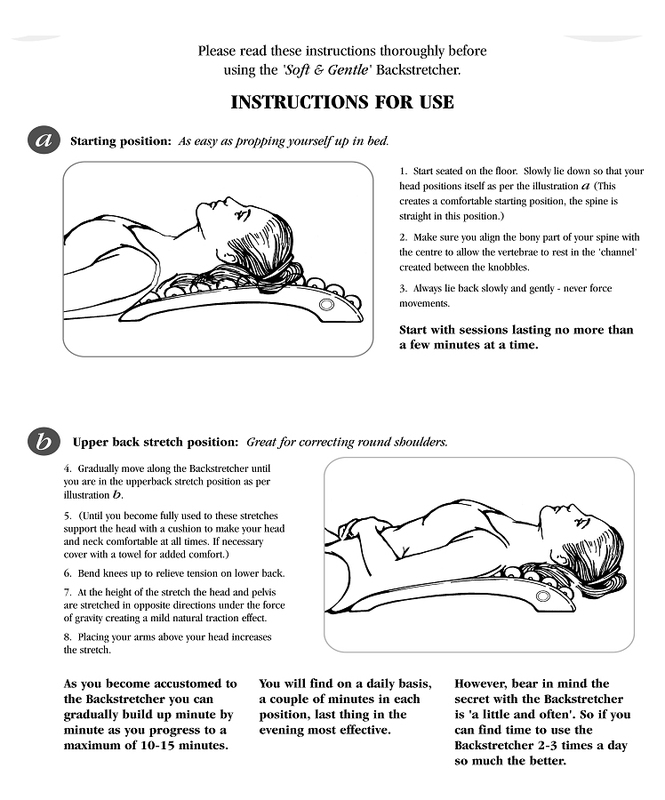 2: Move slowly up after using the Backstretcher more often. Use a cushion behind the head for support and comfort. 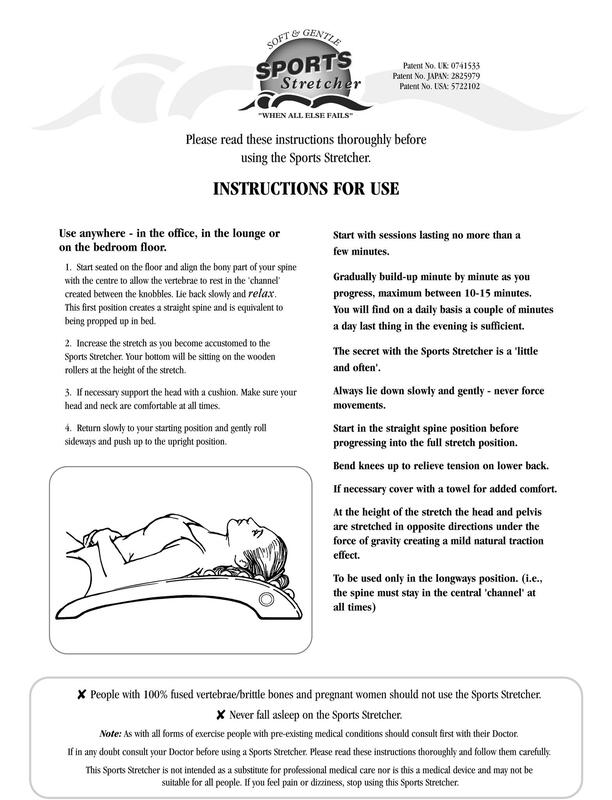 Always lie down slowly and gently - never force movements. - during a session try to relax, for example listen to some music etc.